Robert Manton, CPA is the major shareholder and manager of the firm of Manton CPA Accountancy Corporation. Robert (Bob) is a graduate of Cal-State Dominguez Hills and a CPA with over 25 years in public accounting including the international firm of Arthur Young & Co. 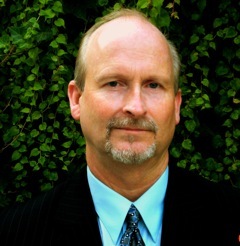 He has an extensive background in the small business arena; including a broad spectrum of accounting and tax services such as preparing basic monthly financial statements and yearly tax returns, representing clients in IRS audits, labor versus employee determinations, full disclosure financial statements and advanced tax planning for individuals, trusts and businesses. Bob is well known in Southern California for teaching continuing education classes for CPAs and Attorneys in various tax preparation and tax planning seminars. His knowledge in estate and trust taxation also is a great benefit to individual and business clients who need to know the best way to hold assets. How to hold business assets to get the maximum depreciation available and to get the maximum step-up value in the future. The best way to title real estate, Community property with rights of survivorship versus putting the real estate in a living trust, for example. How to get stock and LLC member interests into a living trust to avoid probate at death and to achieve a full step-up in value so that a surviving spouse can avoid tax upon sale of assets. Selecting the best entity (C corporation, LLC, S corporation, Sole Proprietorship, Partnership), to custom fit the needs of a client, is an important decision. Taxpayers can save a lot in taxes by carefully selecting the best method of holding assets.